My First Crayola art tools provide children their first art supplies made especially for their little hands so they can create. These palm-grasp, egg-shaped washable crayons are sized to fit toddlers' hands so they can easily make their first marks. Each egg is the equivalent of 14 regular crayons! AP Certified nontoxic. For ages 12 months and up. 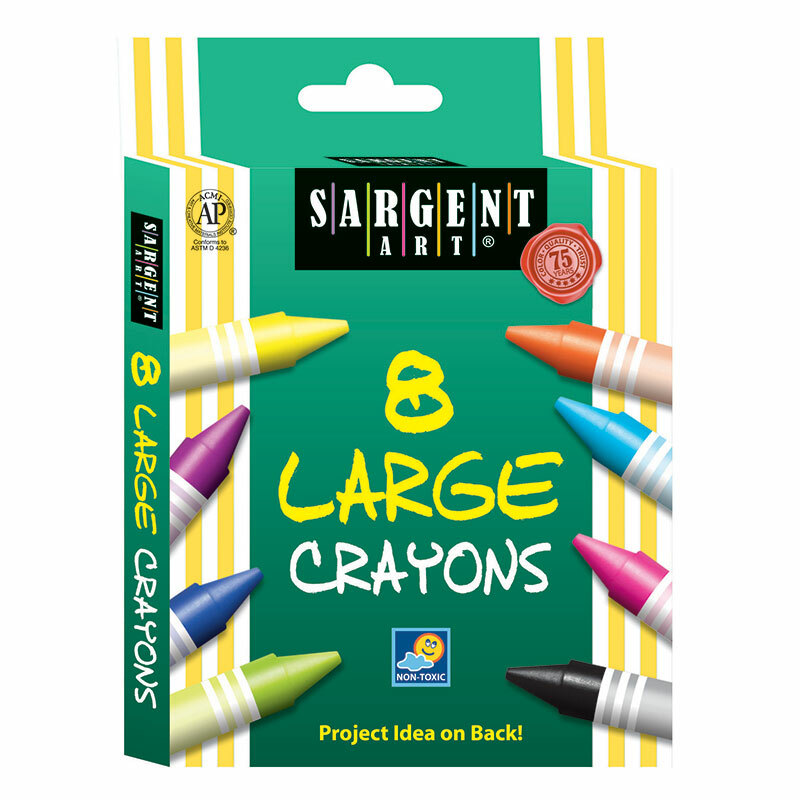 Each pack includes 3 crayons (red, blue, yellow). 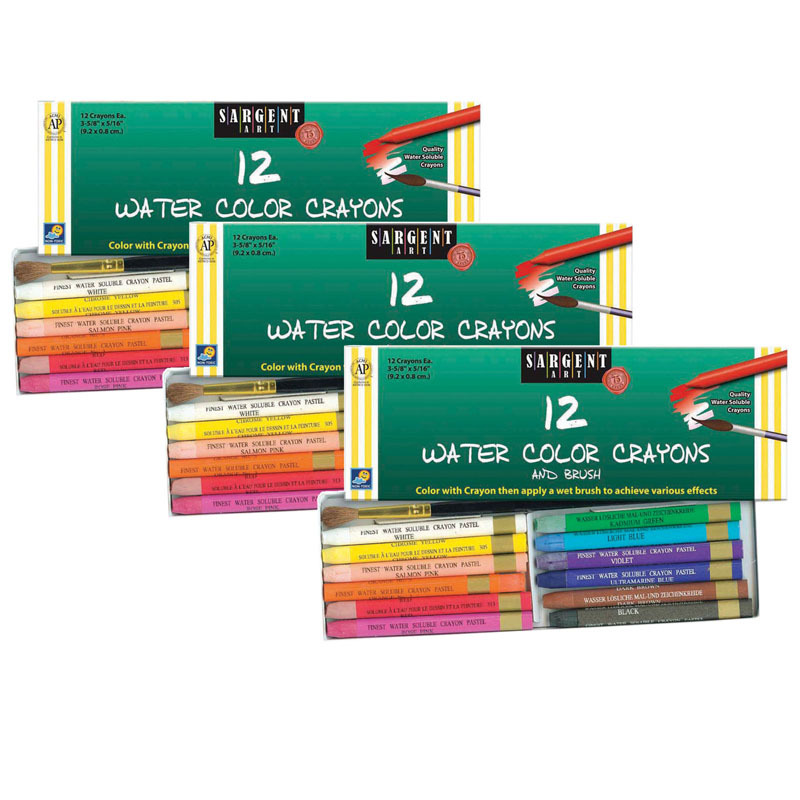 Sold as 3 packs for a total of 9 crayons. 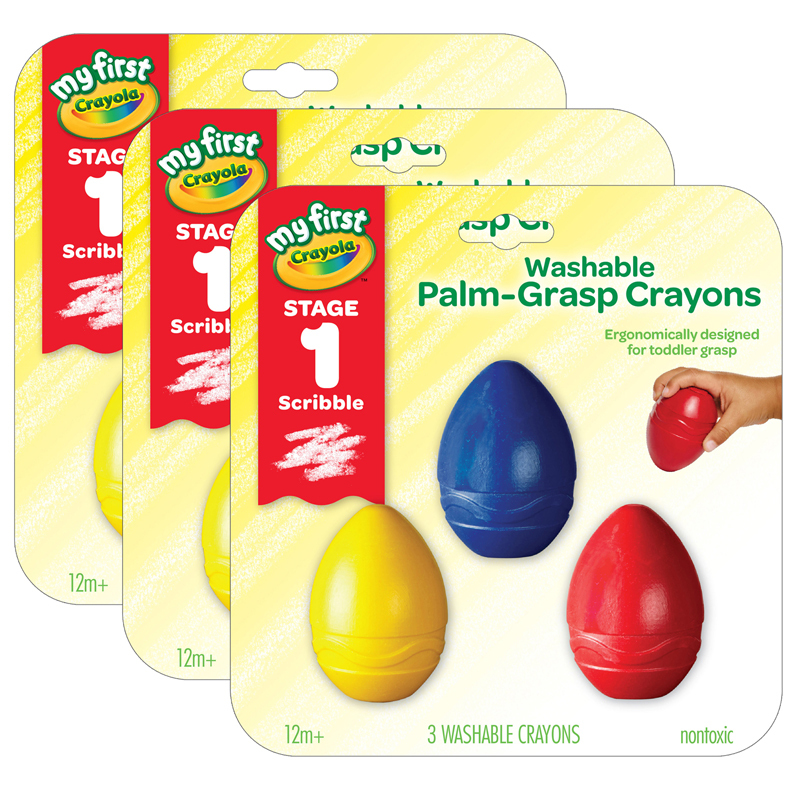 The (3 Pk) Washable Palmgrasp Crayons3 Per Pack My First Crayola can be found in our Crayons product category within the Arts & Crafts.